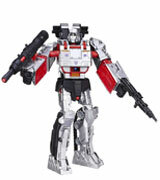 This transformers toy features fantastic light and sound effects. The required 2 AA batteries are included in the set. With the weapon attached to his back, the robot is a little top-heavy. 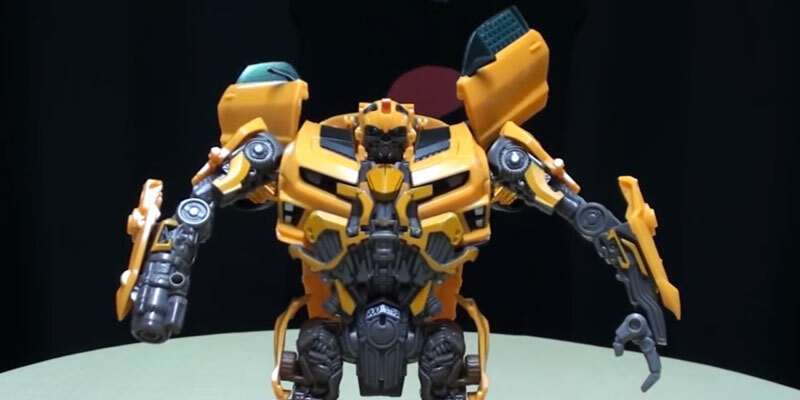 Bumblebee is a well-known and well-loved character. Even if your kids are not the biggest fans of the 'Transformers' series, this amazing toy with its awesome weapons will become one of their favourite warriors. 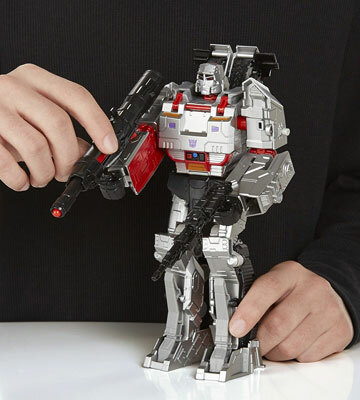 This Megatron toy comes with a spring-loaded missile launcher which shoots as you pull the trigger. Stickers might come off with time. Even if you are on the Autobots' side, no Transformers collection is complete without the key villain, Megatron, the leader of Decepticons and the main enemy of Bumbelbee. The trailer can be transformed into a Battle Station, just like you saw in the film. It might take some time to figure out how to convert it. Optimus Prime, the mighty Autobots leader, is a key participant in an interminable struggle between good and evil transformers. The included Telepods base allows teleporting the opponents into the Angry Birds Transformers app (iOS and Android compatible). The figures are pretty small compared to their competitors. You can build your own collection of Angry Birds figures and start a great battle of Autobirds against Deceptihogs. It takes only one step to convert this impressive Fire-Bot figure from a robot into a fire truck, all you need to do is just pull the ladder. It might be a bit difficult to attach a water cannon for the first time. 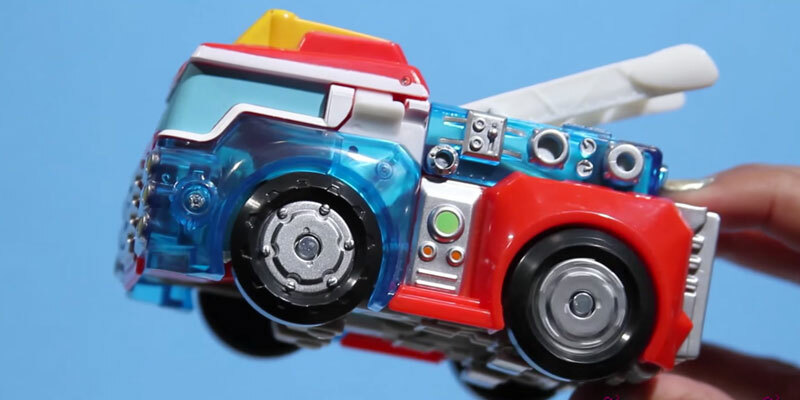 Even the youngest Transformers fans will be thrilled with this cheerfully colored fire truck. The model is available in both standard and frustration-free packaging. "Don't Worry About the Size of the Blaster — Worry About the Sting!" Bet you know whose motto is written above! Courageous, amusing, and appealing, Bumblebee is loved by 'Transformers' fans of all ages all over the world. As high as 8.75" in robot mode (excluding doors), the toy features a detailed and elaborate design. It takes about 10 steps to convert it into a Chevrolet Camaro. However, transforming it into robot/car mode might turn out to be quite challenging and entertaining even for adults. 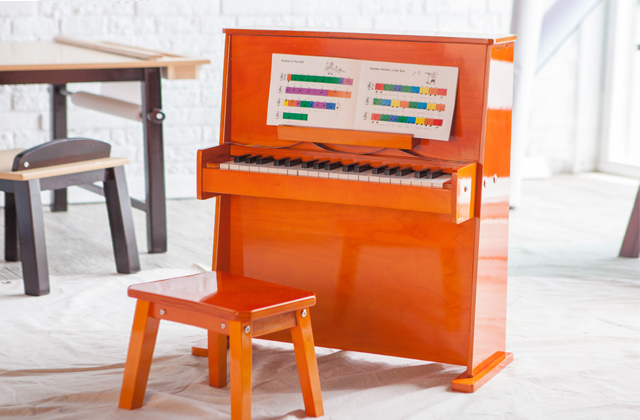 In any case, both you and your kid will have a great time figuring out a sequence of steps for the first time. After a few tries, it won't take long for Bumblebee to get ready for the race. When converted into a car, the toy is 7.13" long and 2.25" high (1:27 scale). 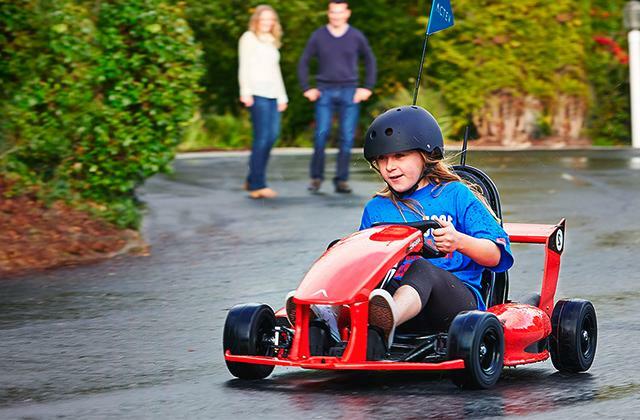 The wheels, made of high-quality durable plastic, allow comfortable speeding in the heat of pursuit. This transformers dark of the moon toy will provide hours of engaging play. Observing this model in a vehicle mode, you will notice it is well worked out. Each and every detail, including its spoiler, textured black stripes, and even identification plate are scrupulously made. 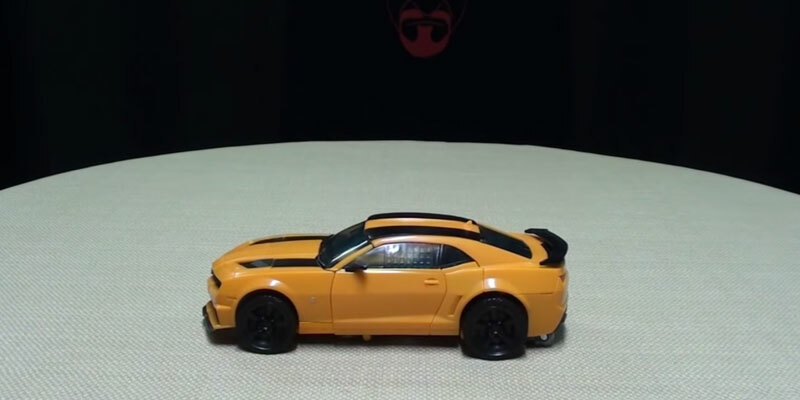 In sum, you get a fantastic toy that looks just like the Chevrolet Camaro you saw in the film. 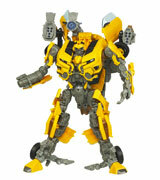 This bumblebee transformer toy comes with a special weapon that can be attached to it in both robot and car mode. Moreover, it was designed to work with any Mechtech Transformers figure that you have or are going to add to your collection. Thanks to the provided visual and sound effects, this diverting toy will help your kid achieve spectacular victories. 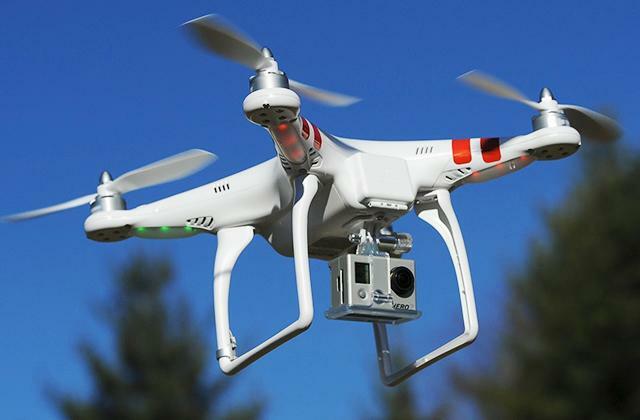 The device is powered by 2 AA batteries, that will ensure long-lasting performance of the unit. Weapons might seem a bit heavy, however, it is only an advantage in fighting against Decepticons! 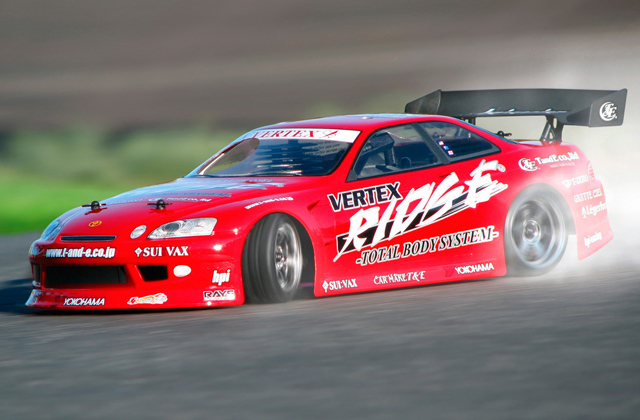 If you love cars and speed, we recommend getting an RC drift car for enthralling racing. 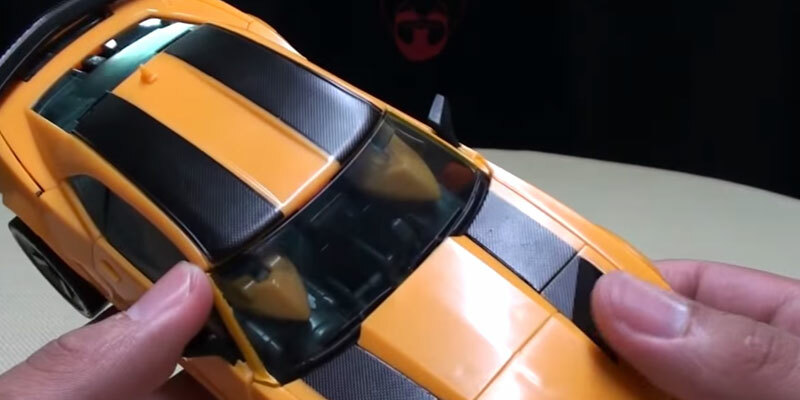 We have good news for Chevrolet Camaro fans: they will find its 1:10-scale replica in our review of the best RC drift cars available on the market. 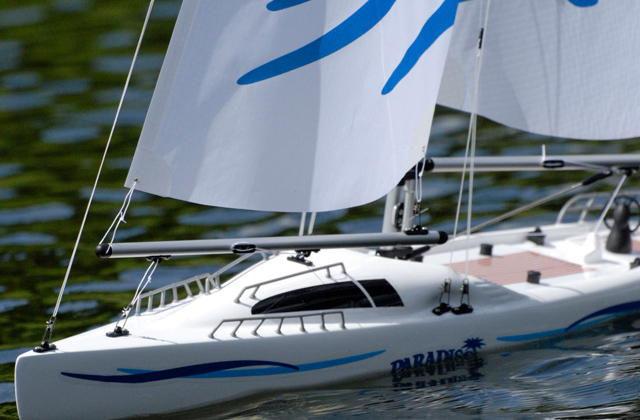 Reliable and easy to control, the models we selected for your attention were certainly made to win any race! 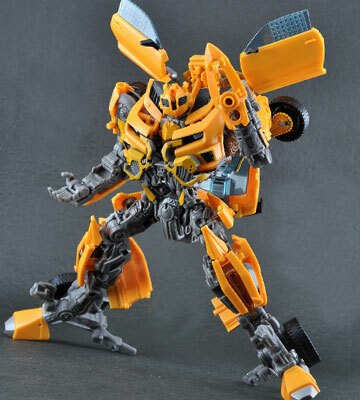 This figure is a must-have for any true 'Transformers' fan. Here he is, Megatron, the leader of Decepticons and old Optimus Pride and Bumblebee enemy. 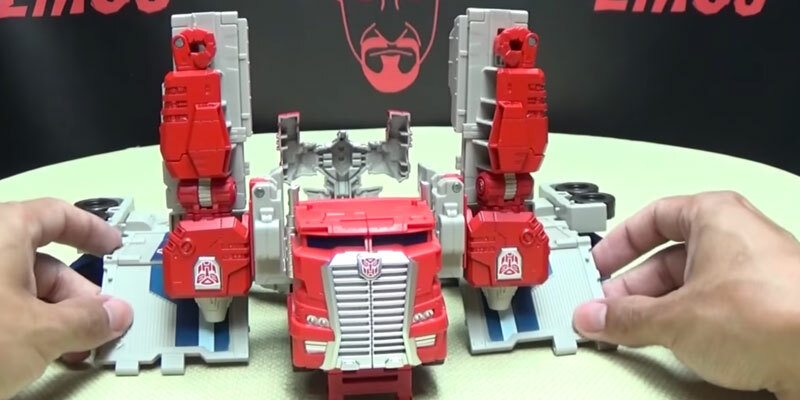 In a robot mode, the toy is about 9 inches tall; the design has been perfected to the finest details for maximum resemblance to its on-screen counterpart. Featuring metallic color with added red and black accents, the robot looks mighty and frightening. 3" high in a vehicle mode, it is quite easy to operate. 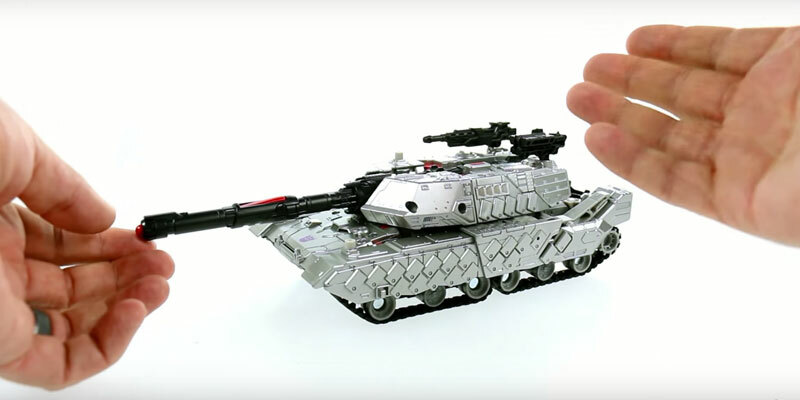 The tank rolls on threads and has a 360º rotating turret for shooting the target with the spring-loaded missile launcher which works as a tank gun in this mode. You can use the included stickers if you wish. However, the Transformers toy looks fantastic just as it is! 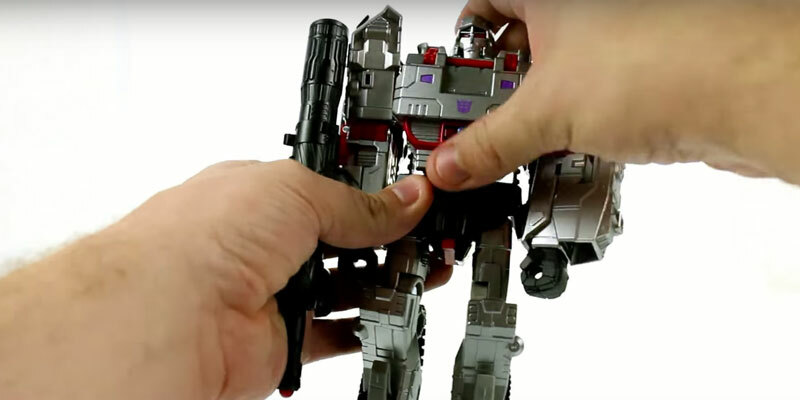 This Megatron toy is recommended for kids over 8 years old. It takes 15 steps to convert it into a tank mode. Even with the included instructions, it will take some time to master the process. On the other hand, getting through it step by step will stimulate your child's fine motor and problem-solving skills and promote their logical thinking. 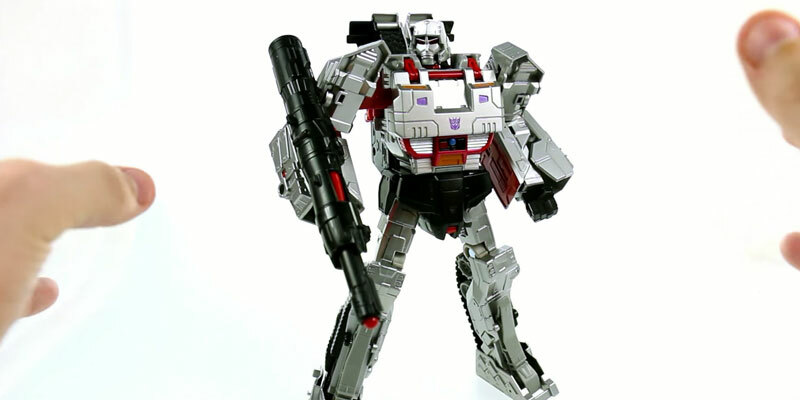 Megatron is a mighty warrior and well-armed to fight with Autobots. In addition to the above-mentioned missile launcher, he has a missile battery and a machine gun that can be used as a hand weapon. Alternatively, you can mount it on a turret in a tank mode and use it as a realistic tank cannon. If you are looking for an outstanding gift for your kid, an RC Blimp is certainly the one that will leave no one indifferent. 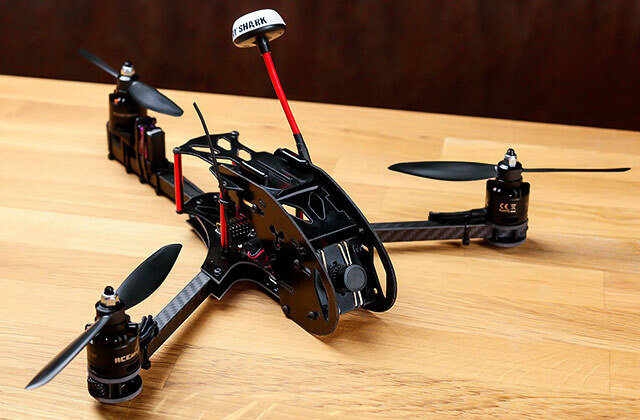 This flying RC toy combines simple operation with impressive maneuverability. Moreover, it may take varied forms, from a classic zeppelin to a popular cartoon character. Choose one that will delight your kid. It is time to present to your attention the key figure in transformers comics and cartoons. 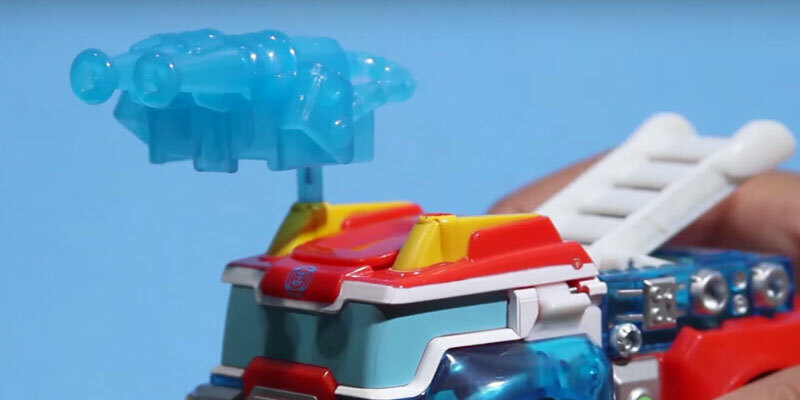 The toy was inspired by the original Powermaster Optimus Prime character. Thought-out to the finest detail, this model is second to none both in its robot and truck modes. The toy is made from non-toxic durable plastic. All wheels work smoothly to ensure comfy play. 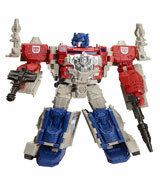 Thanks to its sophisticated design and the included weapons, no enemy will be able to stand against Optimus Prime! In addition, the robot's head can be transformed into a little Autobot to help you win the battle. Please note that it takes 21 steps to convert the toy, which can be quite a difficult task for young children. That is why this Optimus Prime toy is recommended for kids over 8 years of age. At first, it will take some time and effort, however, after a few repetitions, they will learn the sequence of steps. Playing with this wonderful toy, your little ones will improve their logic thinking and fine motor skills, get a boost to their imagination and creativity. 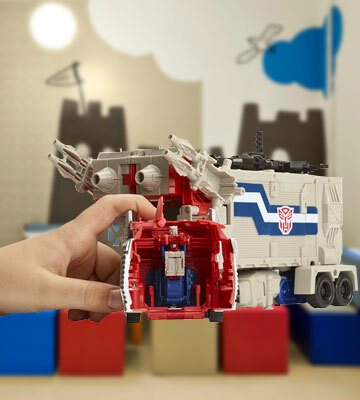 In its vehicle mode, the truck can be used for transporting several smaller Autobots or other transformers from your kid's collection in the truck trailer. Moreover, there is a special slot for the Titan Master inside the red cab. 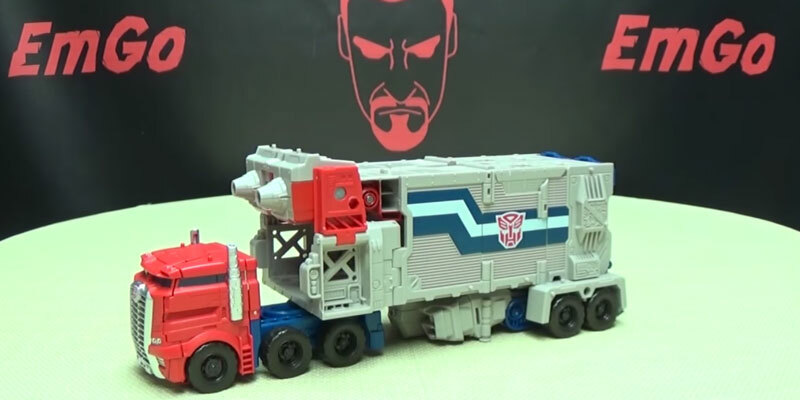 This awesome Optimus Prime truck trailer can be transformed into a fully-furnished battle station with an impressive arsenal of weapons to fight against enemies. There are several pegs around the battle station to place the warriors or titan masters. Although there is only one Autobot included in the pack, you can buy a pack with four of them additionally to create the army that could defend the Earth and gain the long-awaited victory against the Decepticons. Take Control of Your Own RC Truck! 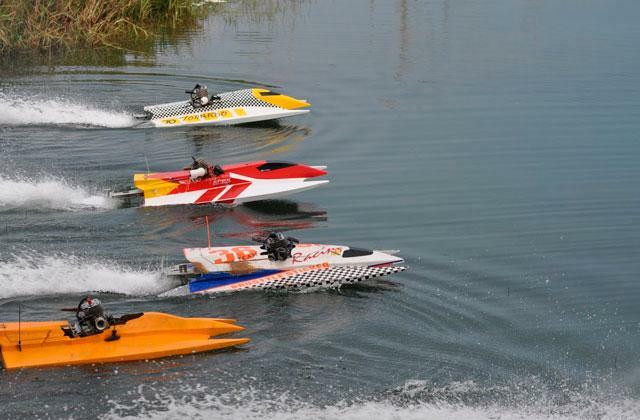 Most kids and many adults adore RC vehicles, especially trucks, for they are big and powerful enough to travel far distances easily bypassing any obstacles. Get an RC Truck to your liking and enjoy spending time outdoors with your kid. Autobirds vs Deceptihogs. Who Will Win? Rovio Entertainment, famous for its Angry Birds games series, jointly with Hasbro Gaming, has introduced Angry Birds Transformers line. It will be a great battle of the Autobirds against Deceptihogs, and it is up to you and your kid to decide who is going to win! Both figures of the Angry Birds Telepods set are approximately 1-inch high. They are made of durable non-toxic plastic for long and enjoyable use. Both bird and pig figures will transform into a speedy racer mode with no difficulty. Designed for kids over 5 years old, the toy will catch the fancy of Angry Birds/Transformers fans of all ages. You can also buy a Bumblebee™ Bird, Optimus Prime™ Bird, and even the main villain Megatron™ Bird. You can find your favorite characters in this toy line or get all 19 figures to have a complete collection. In our age of gadgets, there are few things impossible. Today, you can teleport characters into iOS or Android app and dive into the game in which you will be able to upgrade the characters and unlock new weapons. You can also play online with your friends! 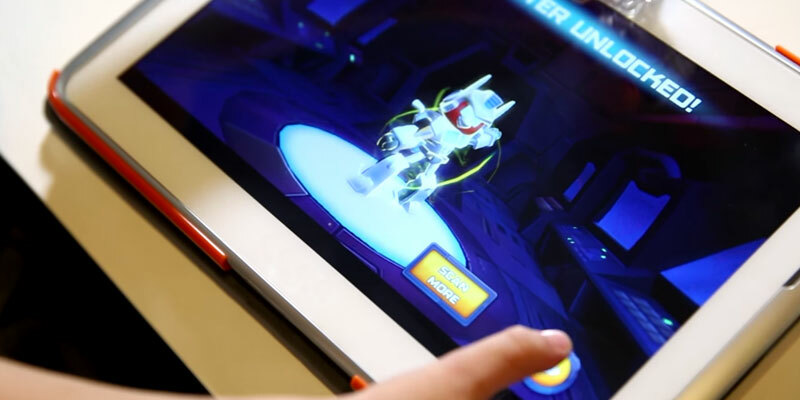 That is how a toy, designed to provide hours of engaging play, will deliver the ultimate gaming experience. 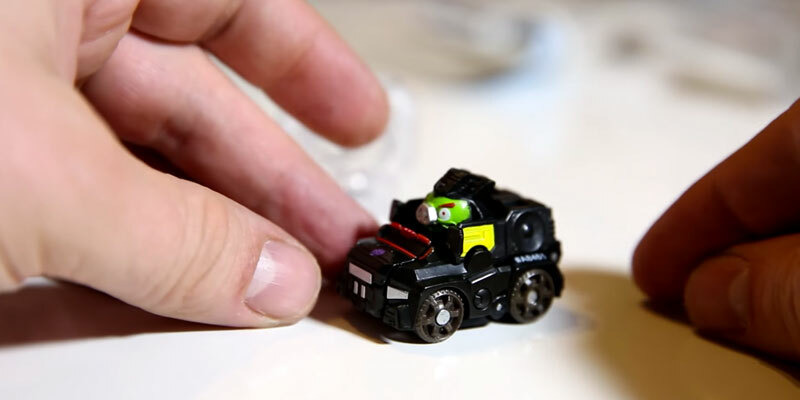 The main advantage of this set is that you can teleport the characters into the Angry Birds Transformers app by using the included Telepods base with a magnifying glass that helps to read the unique Qr-code on the figure's bottom. Just start the application, place the base on your device, put one of the toys on top of the base, and scan it! The character will be activated in no time and you will be able to select it for playing the game. Have fun! The onrush of technology has had an immense impact on our lives. 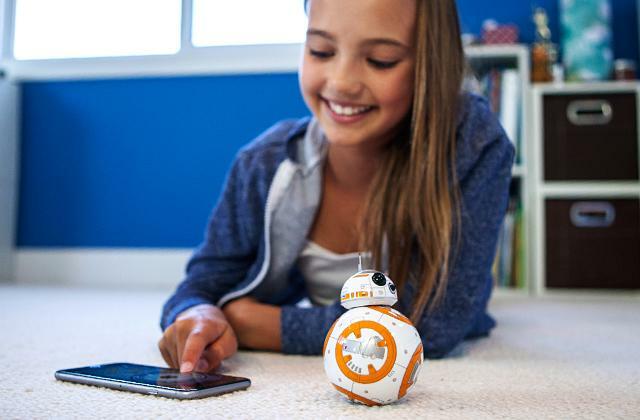 Nowadays, even the toys for kids get infused with the modern technologies. To promote children's early development, get one of these high-tech tablets for kids. Boasting an eye-catching design, impact- and moisture-resistance, they were made to make your kids' play and discovery of new things safe and exciting. If you are looking for a gadget to play Angry Birds Transformers, we recommend getting the device with the operating system Android 4.1 and up. The "Transformers" are so popular it would be hard to list all the comics printed and all the cartoons or films produced, not to mention related merchandise products. No wonder there's such a huge selection of toys designed for their fans. 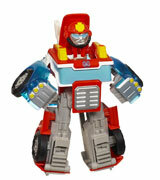 For younger kids, we recommend this awesome transformer Rescue Bots toy. Your little ones will learn how to convert it into vehicle/robot mode without parent's help, improving their fine motor skills and logic thinking. This 6" toy will turn into a fire truck just like that! There is a common fascination with heroic professions. Many kids dream of becoming a firefighter or policeman when they grow up. Thus, your young dreamer might be absolutely thrilled with this toy! To transform it back, just pull the ladder, and the Fire-Bot is ready to fight against Decepticons! The toy is recommended for children of 3-5 years of age. However, it is an excellent choice for toy collectors of any age. You can choose between an eco-friendly frustration-free packaging and an eye-catching standard packaging. It is hard to imagine a Transformer without powerful weapons or a fire truck without a water cannon. An original solution that perfectly suits the toy in both modes is the included water cannon. 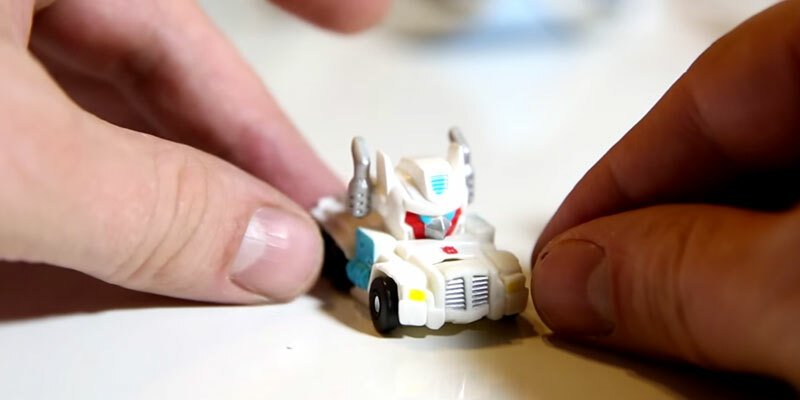 Attaching this small detail to the transformers toy will help promote fine motor skills and hand-eye coordination. 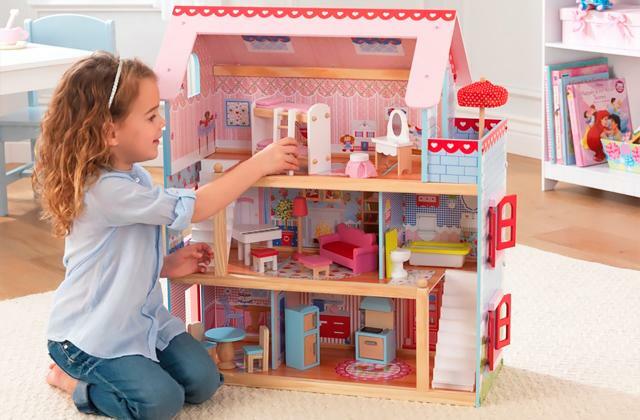 Hasbro Gaming is famous for its high-quality detailed products, and this Playschool Heroes brand toy is not an exception. It boasts well-made parts and durable overall design. In a fire truck mode, it rolls smoothly on its wheels. One more little detail that true Transformers fans will appreciate is the Autobots logo on the cab. It is important to cultivate healthy habits and sense of responsibility from the early age. One of the ways to do this is getting your kid a toy vacuum. In such a way, your little ones will enjoy tidying up their room. Some models are powerful enough to give the room a thorough cleaning. Choosing a toy for your kid is not always easy. It should be engaging, entertaining, and developing at the same time, to keep your little ones busy for hours, promote their fine motor skills, facilitate problem-solving skills, and encourage imaginative play. Transformers toys combine all these crucial features and still have even more to offer. Each toy is a miniature replica of famous characters from popular cartoons, comics, films, or computer games, that can be converted into something else, usually a vehicle. No wonder these Transformers toys have gained such an appreciation of fans and collectors all over the world. It is time to pick the one missing in your collection! If you are interested in educational toys, we recommend you to have a look at our review of the best marble runs. 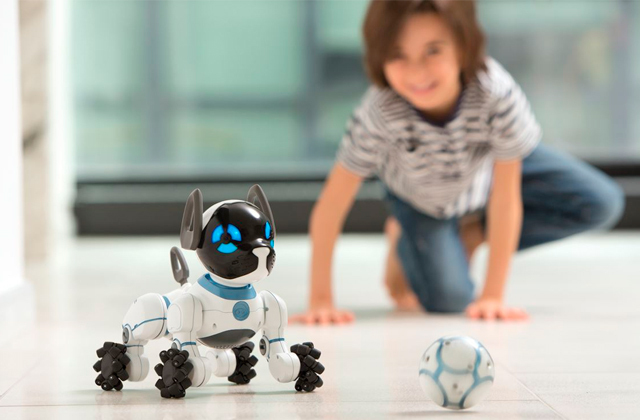 High-tech toy robots will not only keep your kids entertained for hours but will also help them develop their cognitive skills. The first thing to keep in mind when choosing a transformers toy is an age range specified by the manufacturer. Usually, it takes a couple of simple steps to convert models recommended for kids of 3 to 5 years old. Transformation of toys recommended for children of 5 to 10 age range requires more steps and involves more logical thinking. If the toy is marked 8+, there may be over 10 steps before a robot turns into a car and vice versa. Without instructions, it may be quite challenging even for an adult. 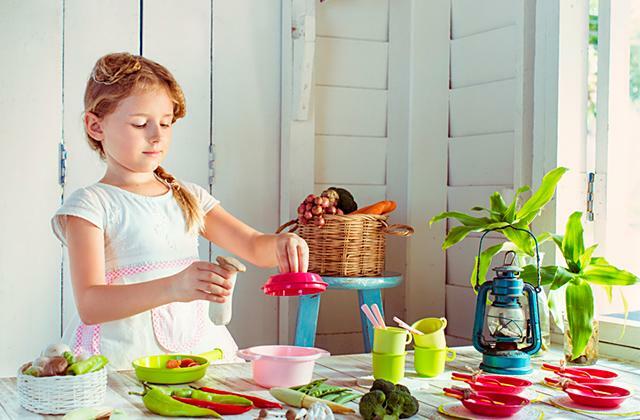 In any case, kids will feel more comfortable and at ease when they are able to transform the toy by themselves, even after you have shown them how to do it. The main tip here is your child's likes and interests. Some figures look like Transformers from popular cartoons or comics. They might be identical replicas of those you saw in the series. 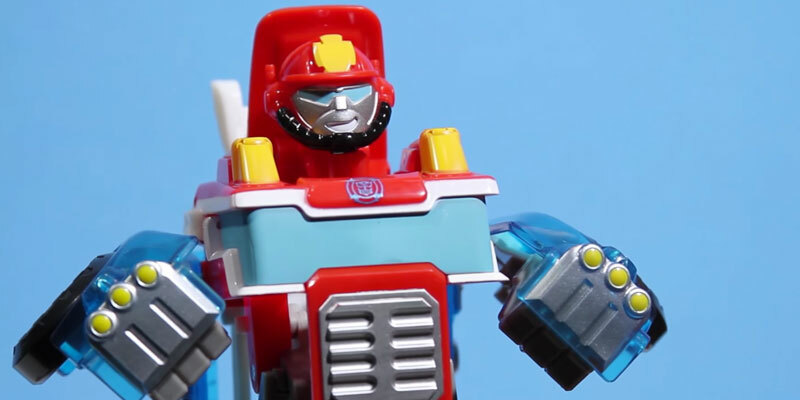 There are even angry birds transformers toys inspired by well-known computer games. Any child will love playing with a toy incarnation of their favorite heroes or villains. In addition, each figure has two modes. It can be either a mighty warrior or a race car, truck, tank, etc. Choose the item to your kid's taste and liking! 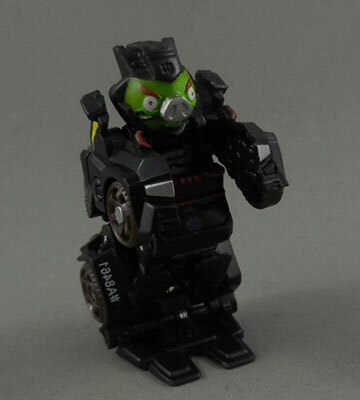 As for the material, almost all transformer toys are made of plastic. Make sure that you get the toy produced from high-quality, durable, and non-toxic materials. You should also consider all kinds of extras aimed to provide an engaging and enjoyable play. Some models have stunning visual and sound effects. Some are equipped with spring-loaded weapons that can "shoot". Detachable parts, like weapons and mini robots, will promote imaginative thinking and make the game more exciting. It is advisable to choose a toy big enough for comfortable play. On the other hand, tiny detailed figures will find their place in fans' toy collections. 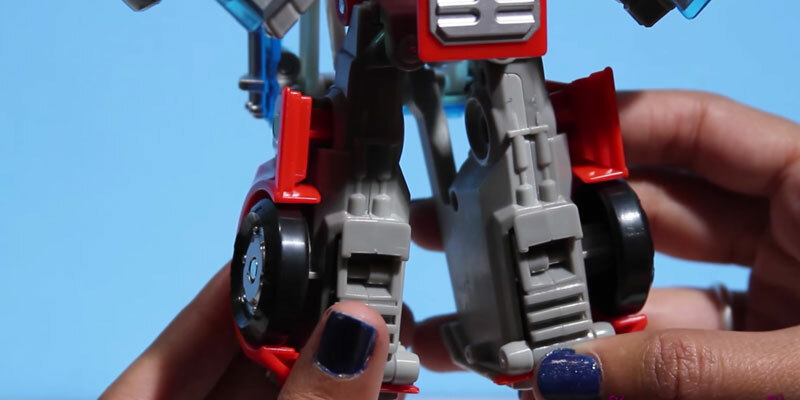 Q: How to choose a Transformer toy for my kid? A: First of all, take into consideration your kid's interests. Some children will be happy to play with the robots from the popular series, so you can get a Bumblebee or Optimus Prime toy, others will be interested in Angry Birds Transformers toys. The next important thing is the recommended age range. 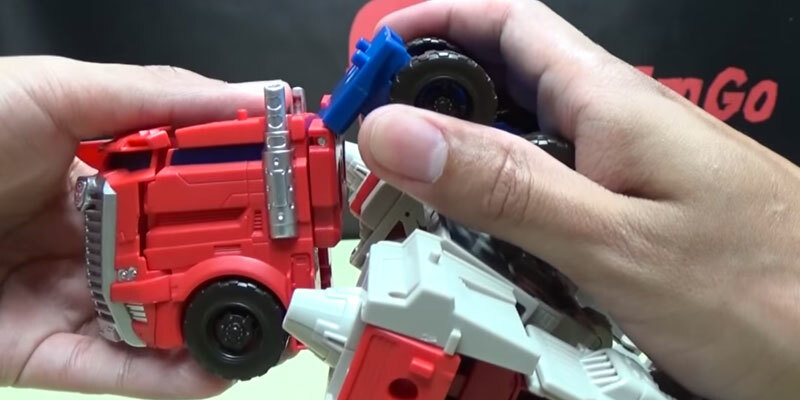 Some toys may be too difficult to transform for younger kids, so they won't be able to do this without adult's help. That is why it is advisable to choose an age-appropriate toy. One more tip is the toy's size. Being a good choice for building your collection, miniature toys might be inconvenient to play with or too easy to swallow. That is why it is recommended to avoid buying too small toys for younger kiddies. A: It varies depending on the design. Some toys can be converted in only one step. More complicated models take more steps, time, and effort to transform. However, it gets easier if you carefully follow the instructions. 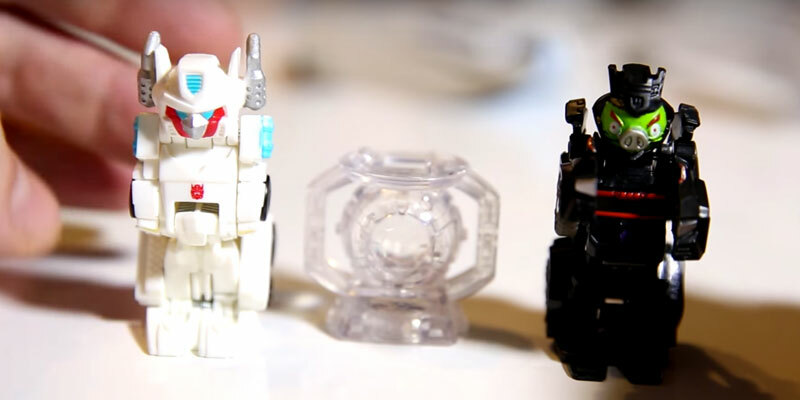 There are also videos available on the Internet that will help you understand how your chosen Transformers toy works. Q: Will the included weapon fit other transformers from my collection? A: It depends on a model. Please, check the information provided in the instructions or on the toy's packaging. Usually, the weapon works with other figures from the same toy line or produced by the same manufacturer. Q: When in vehicle mode, are these toys comfy to play with? A: Most models are made of high-quality plastic; they usually have reliable and smoothly spinning wheels to ensure enjoyable and comfortable play. If you are looking for a functional unit, it is advisable to choose a high-quality model with rotatable wheels, easy-to-attach guns, and a selection of other smaller parts. 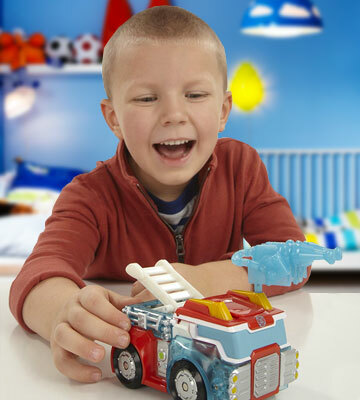 A: Each toy features a well thought-out design and promotes logical thinking when the kid is trying to transform it. At the same time, it boosts fine motor and problem-solving skills. Besides, there is hardly a better toy to stir your little one's imagination than the one inspired by his favorite character. 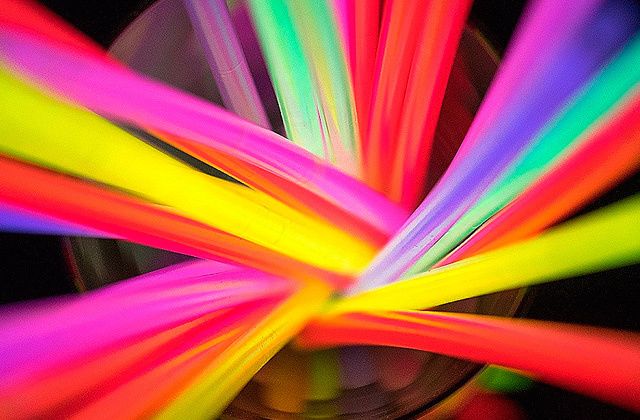 Q: Is it better to select a toy with sound and light effects? How long will the battery last? A: Most kids like toys with both visual and sound effects, the more the better! Naturally, they will be delighted with such a toy. If you do not mind "battle sounds" repeated now and again, it would be a great choice! As a rule, the batteries last for quite a while. It is also worth saying that for your little one, playing with such a toy will be an exciting experience, just like watching their favorite film for the first time. 1. Transformers Action Figures Buying Guide, eBay. March 3, 2016. 2. 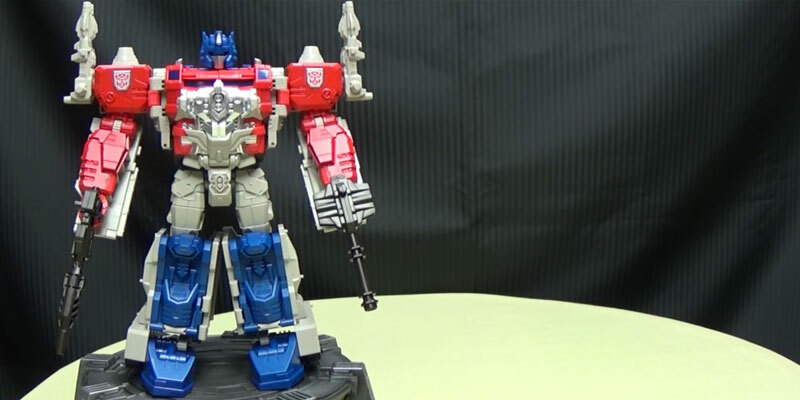 Wesley Fenlon Inside Hasbro's Transformers Toy Design Studio, Tested. April 19, 2013. 3. The Transformers (toyline), TransformersWiki. March 31, 2017. 4. Transformers (film) toy line, Wikipedia. March 29, 2017. 5. Joshua Olivieri, 15 Most Powerful Transformers Of All Time, TheRichest. December 19, 2016. 6. 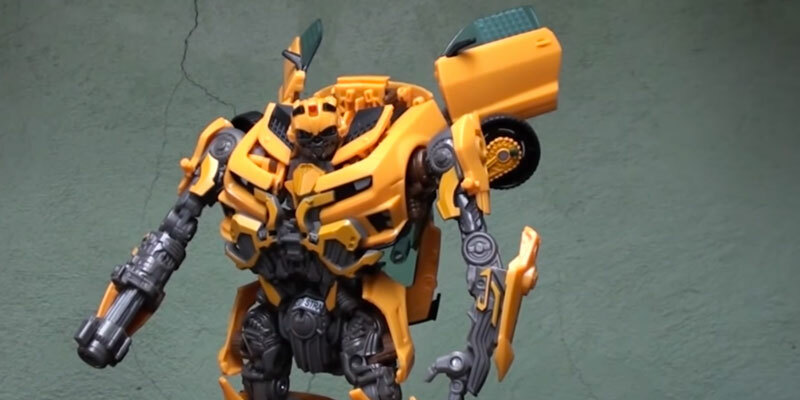 The Most Popular Transformer Toys, eBay. July 6, 2015. 7. Michael Arbeiter 15 Super Facts About Transformers Action Figures, mental_floss. 8. Leo Johnson, 12 Things You Didn’t Know About Transformers Screen Rant. January 21, 2016. 9. Angry Birds, Wikipedia. May 13, 2017.